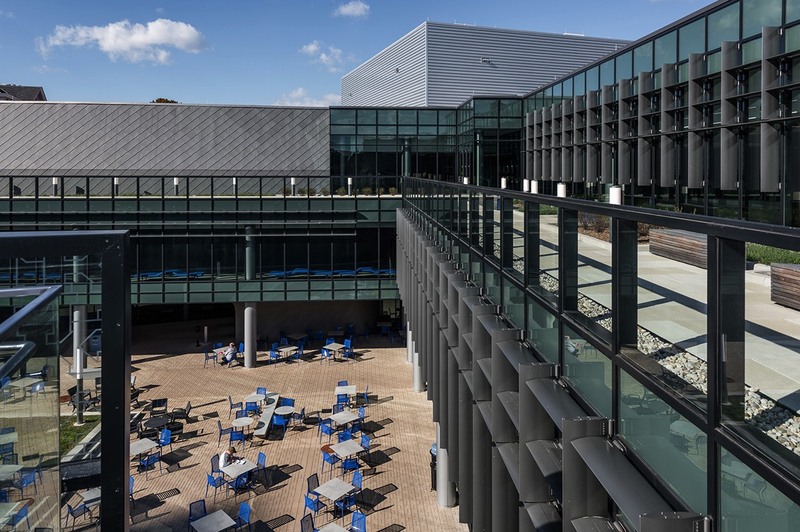 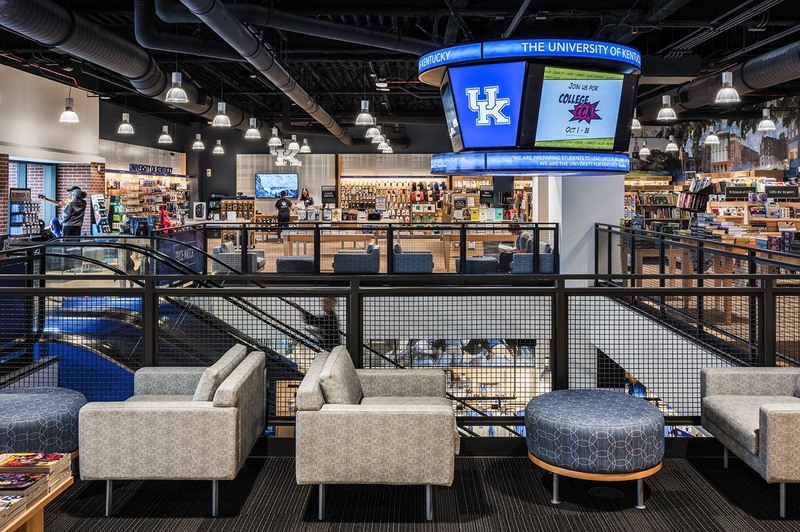 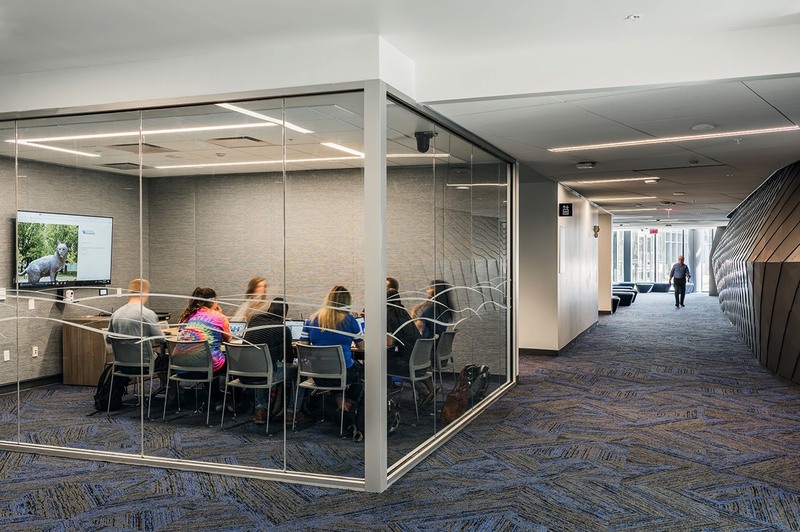 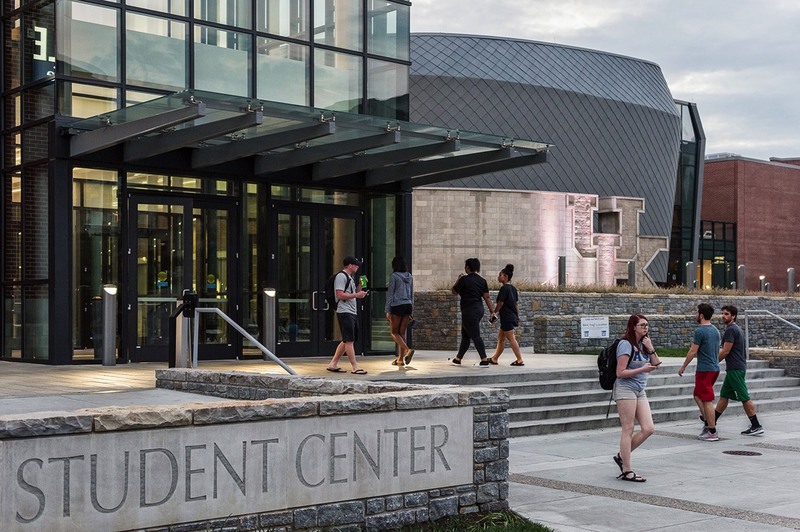 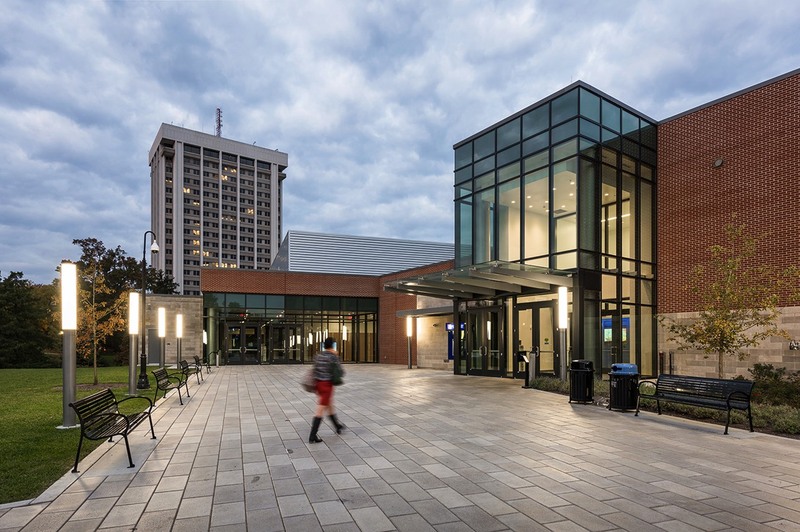 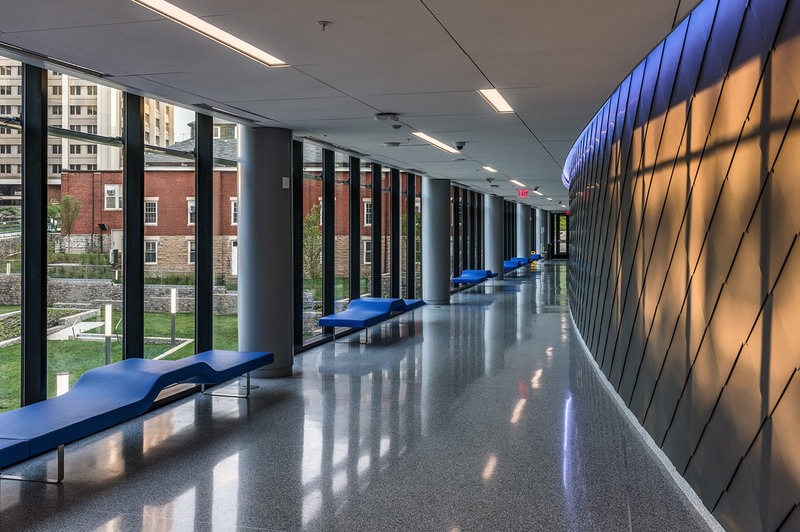 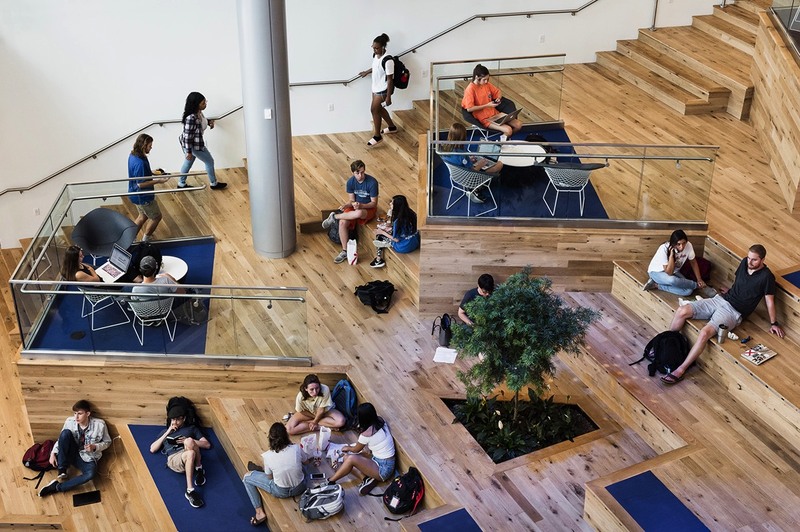 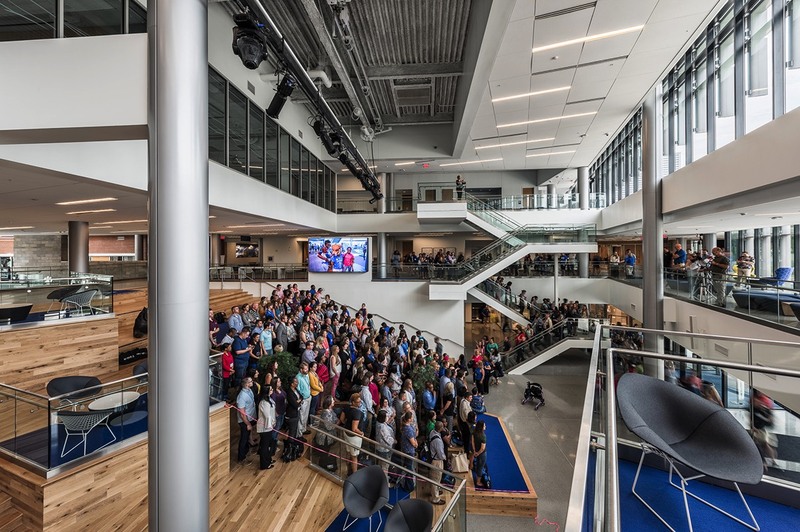 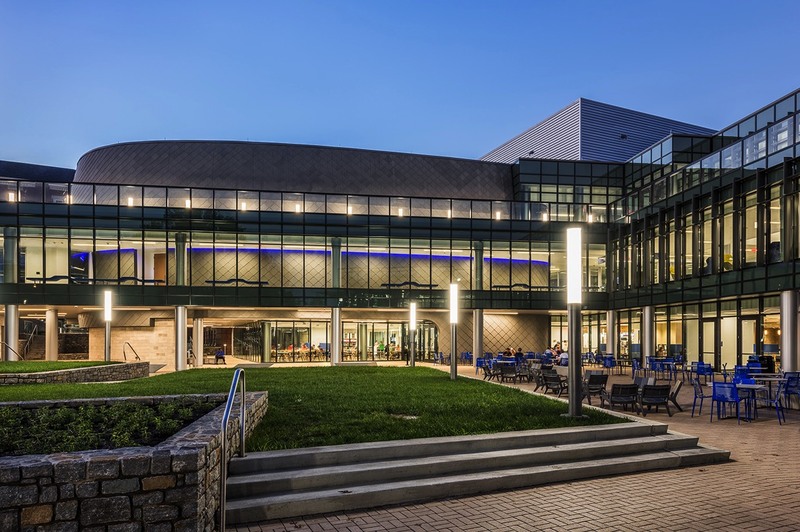 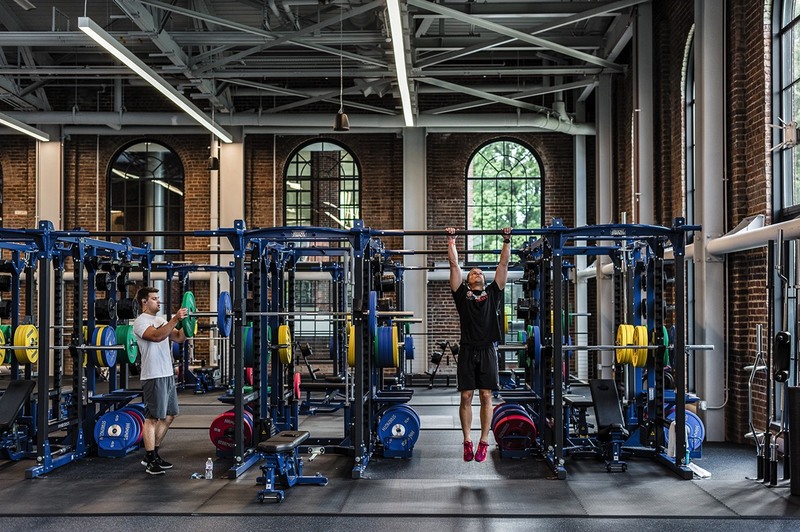 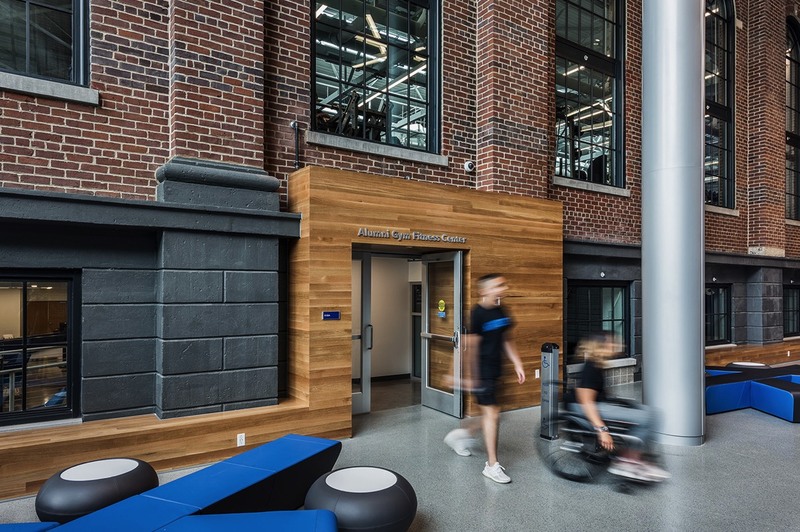 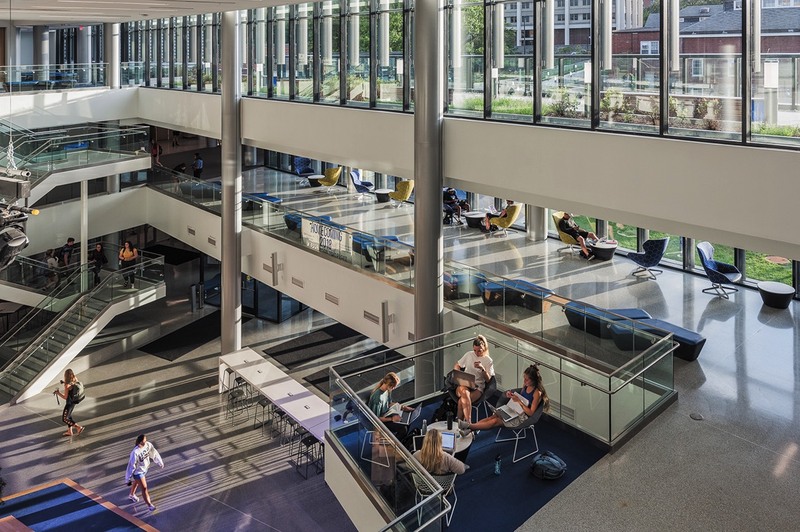 The renovation and expansion of the UK Student Center supported the university’s plan to enhance student life across campus - a plan that was further necessitated by an ambitious housing revitalization on UK’s campus. 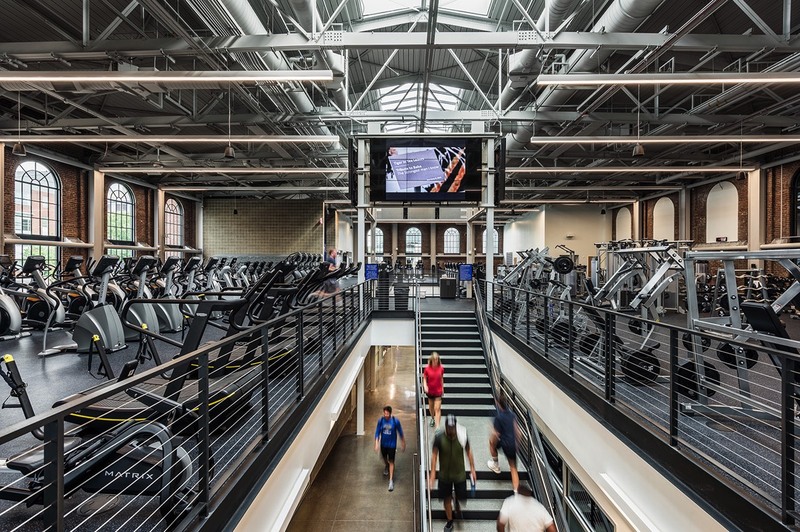 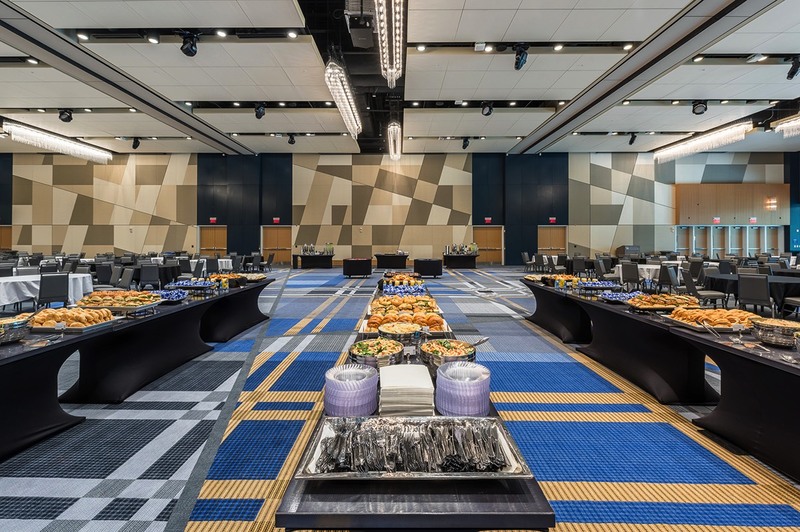 Omni Architects teamed with Perkins+Will to design the renovation, after having worked together on studies and minor renovations of the facility over a period of ten years beginning in 2004. 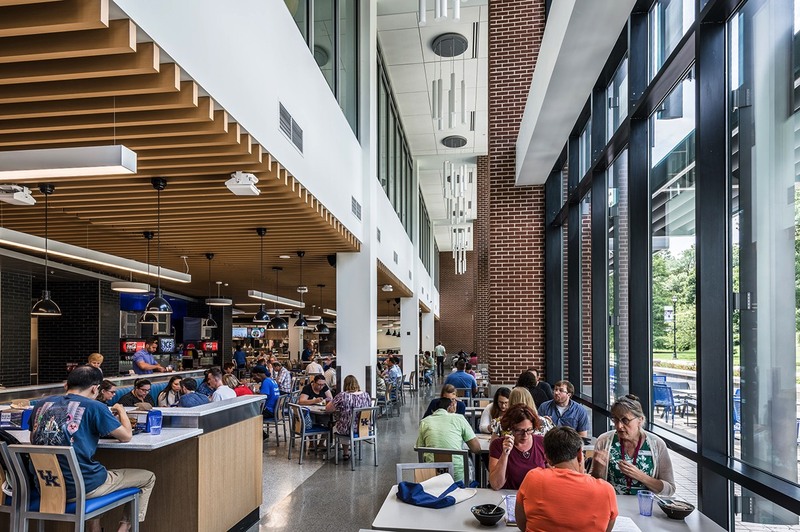 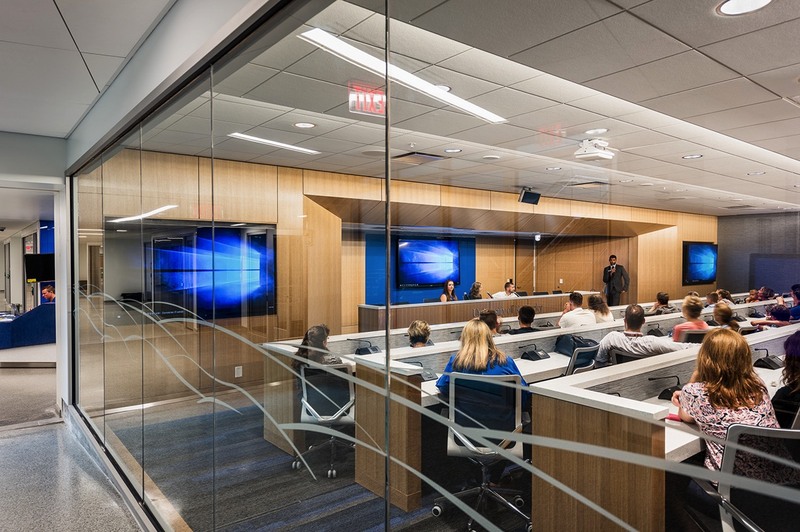 Omni and Perkins+Will led a collaborative design process that involved multiple stakeholder groups, including students, faculty, and staff. 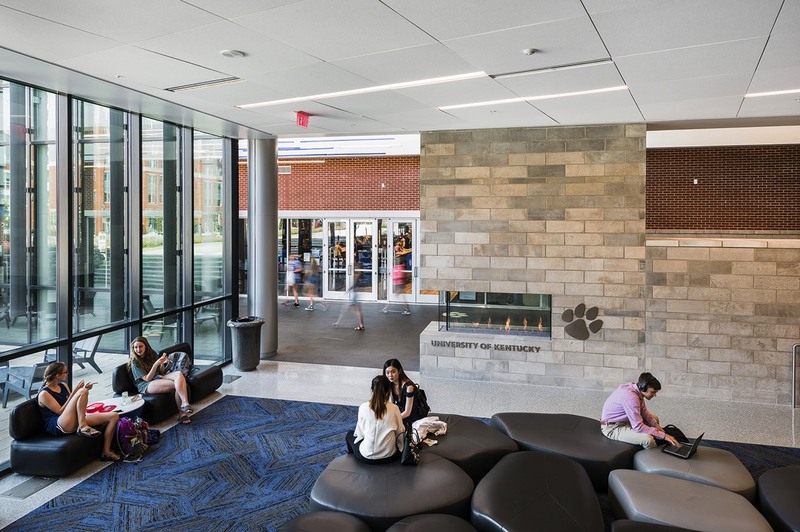 The final design responds to the university’s vision for a facility that is open, transparent and full of daylight; inviting, welcoming, comfortable and attractive to students; modern and updated in appearance; and easy to navigate with clear entrances. 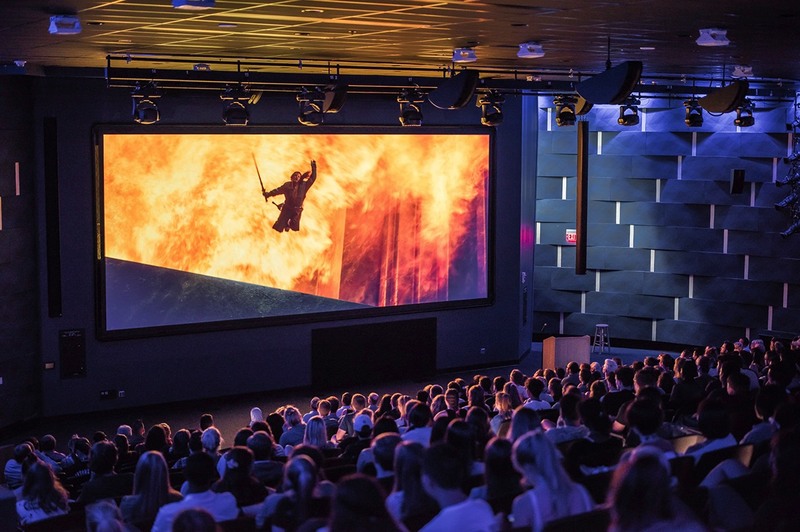 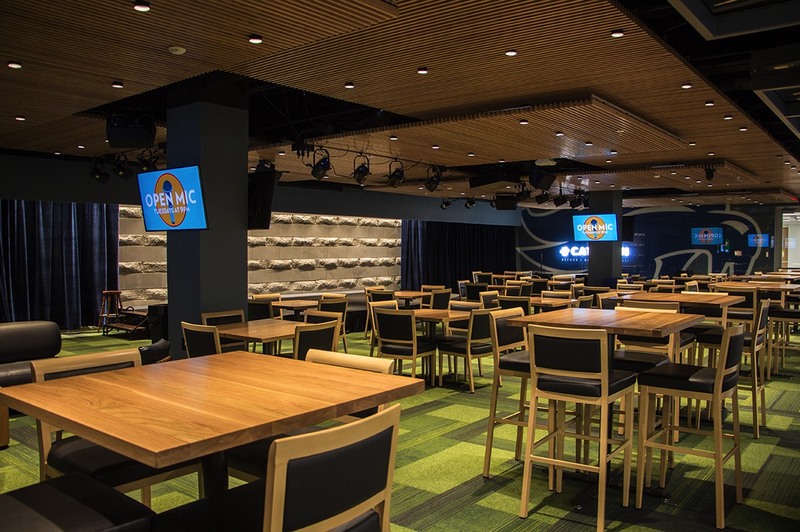 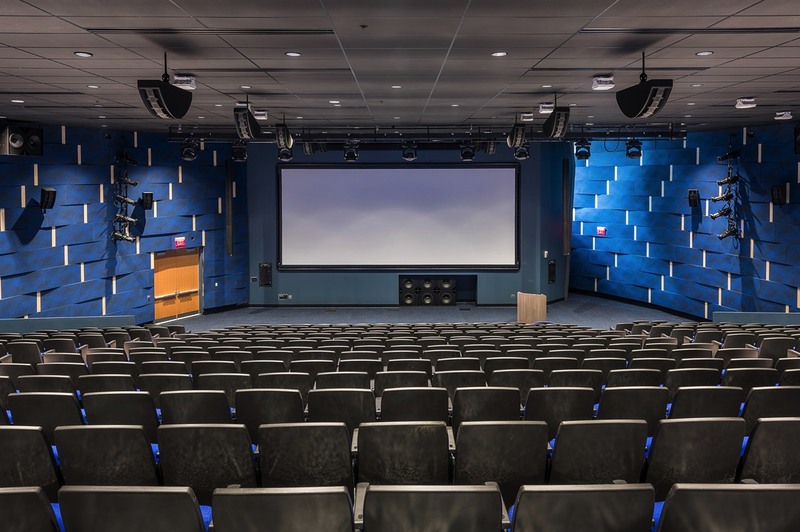 To address the social aspect of the facility, there are multiple interior and exterior seating zones for lounging or recreation, as well as a 300-seat movie theater. 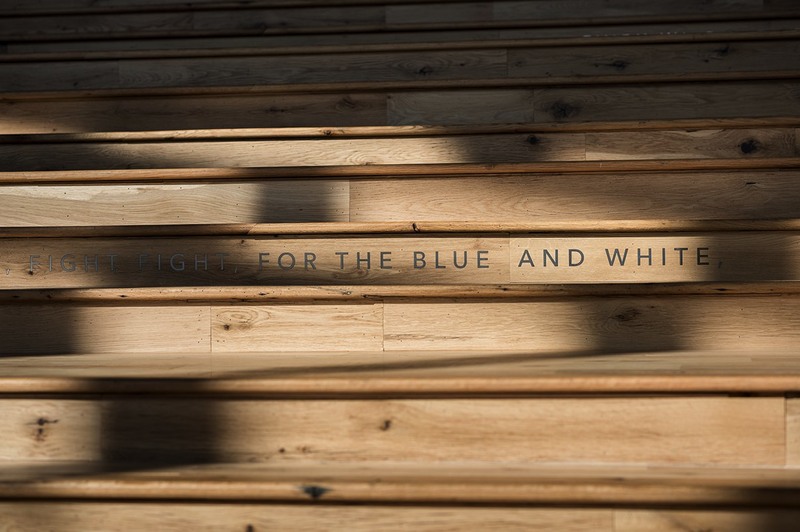 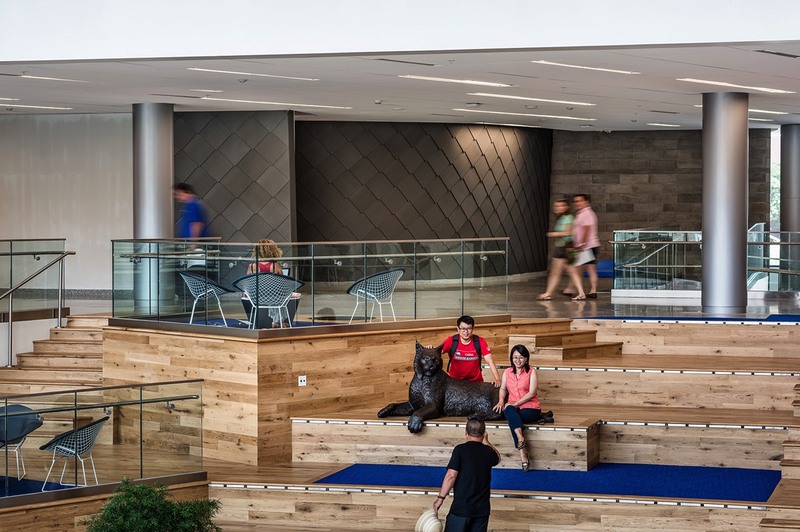 A dynamic social stair in the atrium space features a larger-than-life bronze sculpture of UK’s iconic Wildcat mascot - one of many photo opportunities in and around the facility. 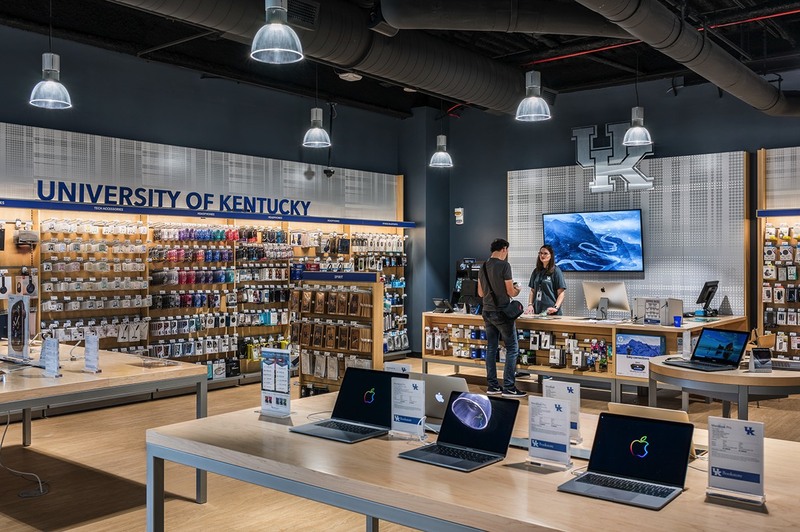 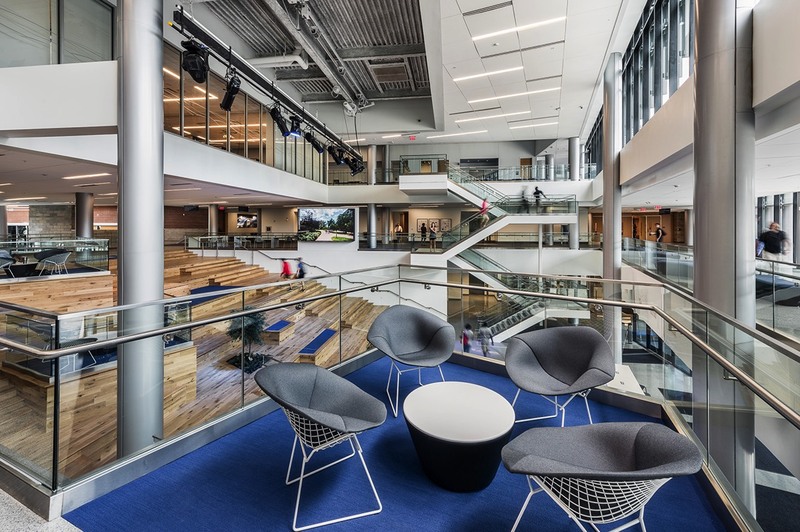 Additional program spaces include offices for administration and student organizations, lounge/recreation/hangout areas, a gym, meeting and conference rooms, and a Barnes & Noble bookstore, which is currently their largest campus store in the nation. 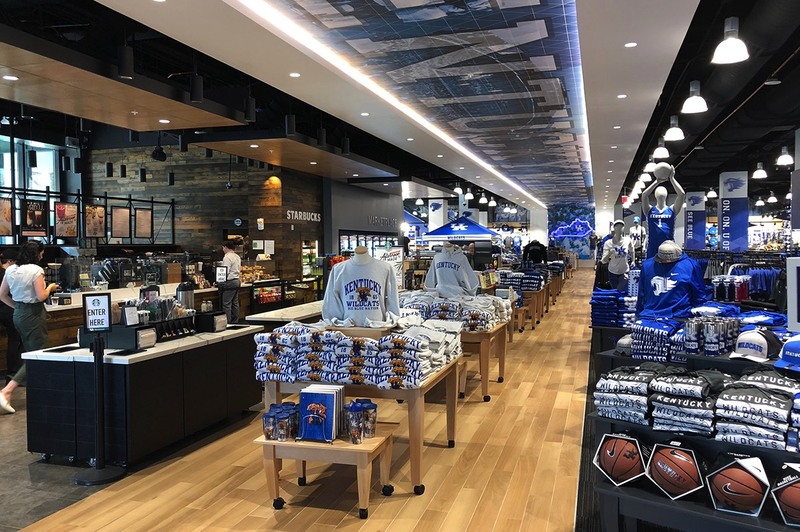 A Starbucks is embedded within the bookstore. 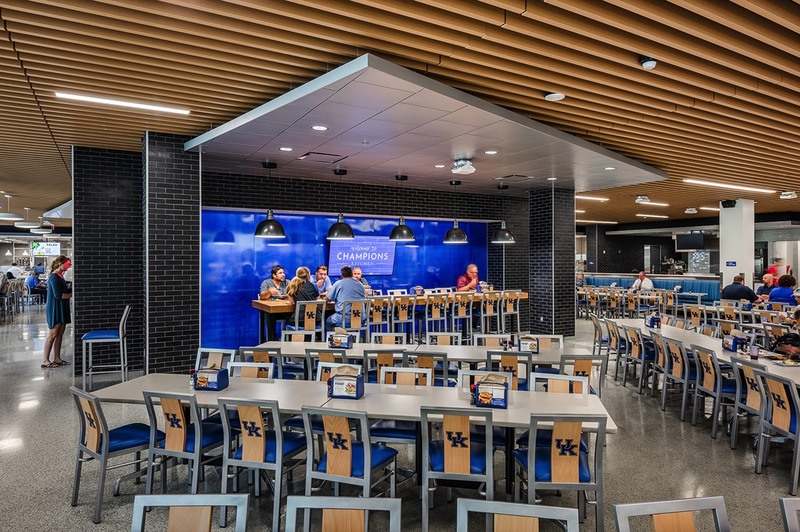 Dining options are plentiful in the Champions Kitchen, which features multiple national brand retail restaurants with a seating capacity of over 700. 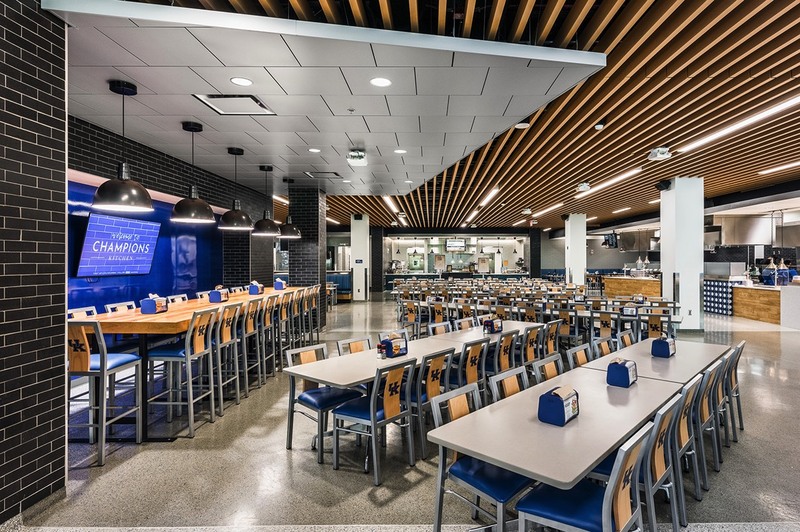 The location offers the quality of experience and consistent fixed menu choices associated with the national brands and is accessible to members of the campus community, with some locations providing late night dining. 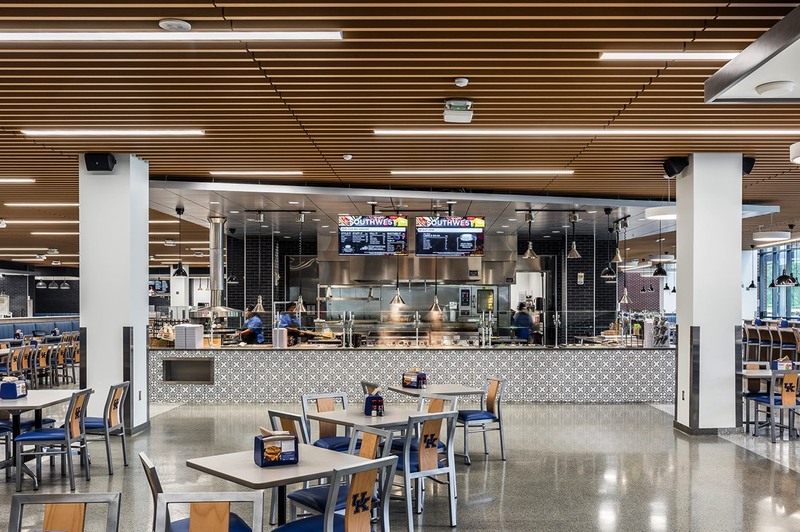 A stand-alone catering kitchen is designed for meal production, staging and serving to support functions within the Student Center as well as other locations on campus. 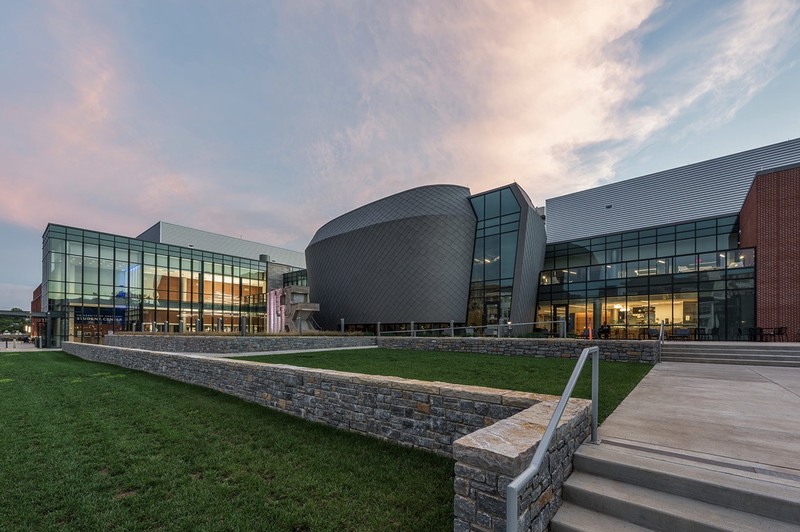 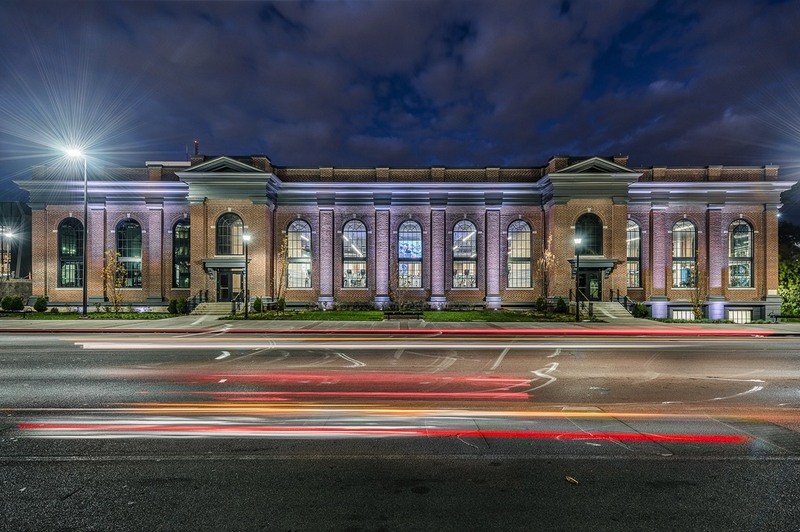 The project is targeting LEED Silver certification and incorporates the best principles of energy and product conservation, resulting in both short- and long-term savings through the use of appropriate LEED principles, Energy Star equipment options, and environmentally responsible installations.